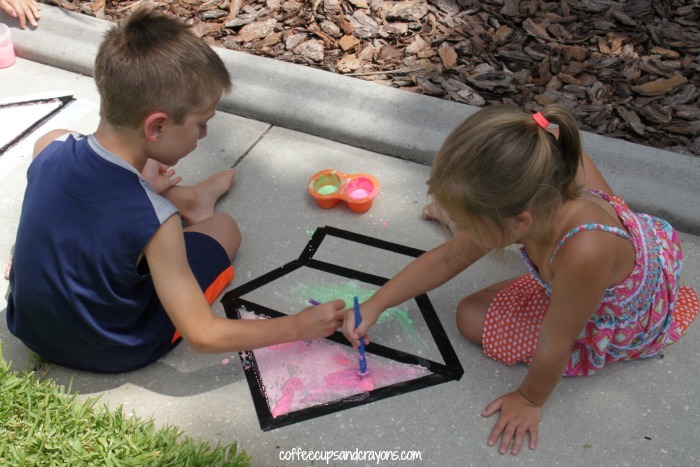 If you are a regular reader then you know that we love to play and learn with sidewalk chalk. 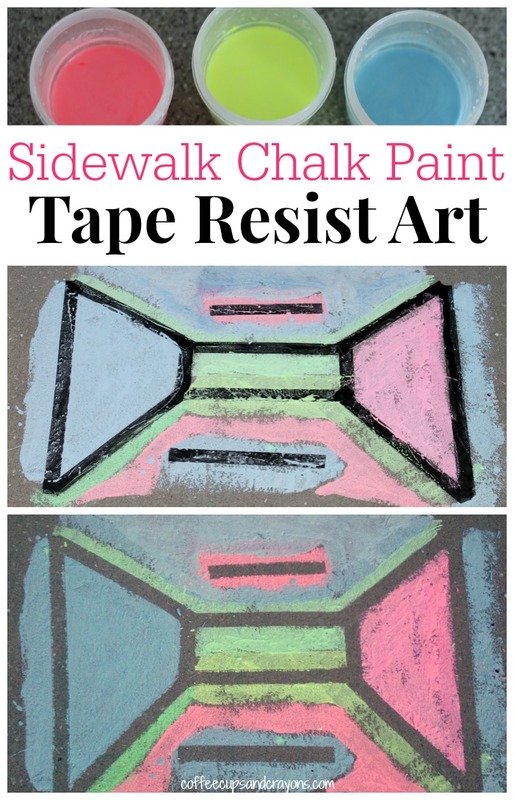 The kids spend love to paint with sidewalk chalk in the shade on lazy summer afternoons and this week we tried something brand new–sidewalk chalk paint tape resist art! 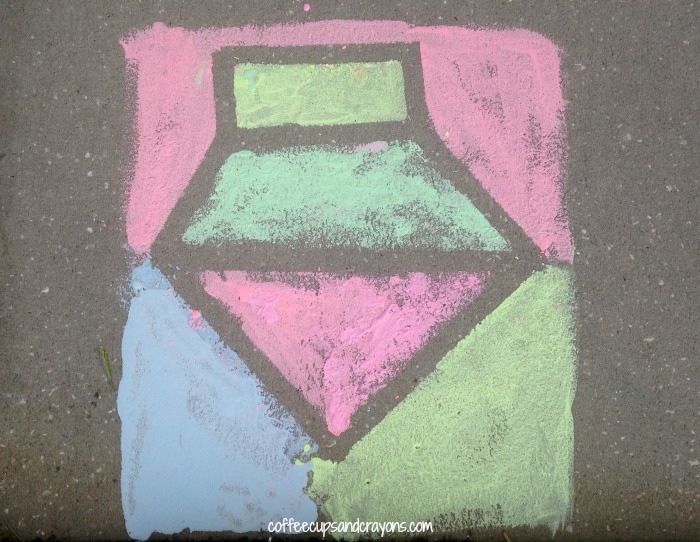 It is a super simple activity that turned out to be so cool! You really only need a couple things for this activity which makes it perfect for a busy day. 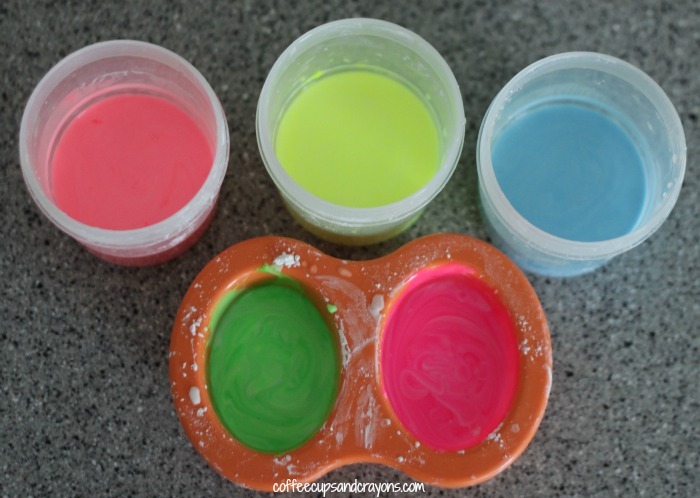 Mix equal amounts of cornstarch and water together and add the liquid watercolors. I mixed about 1/4 cup of each to make the paint shown in the photo above. 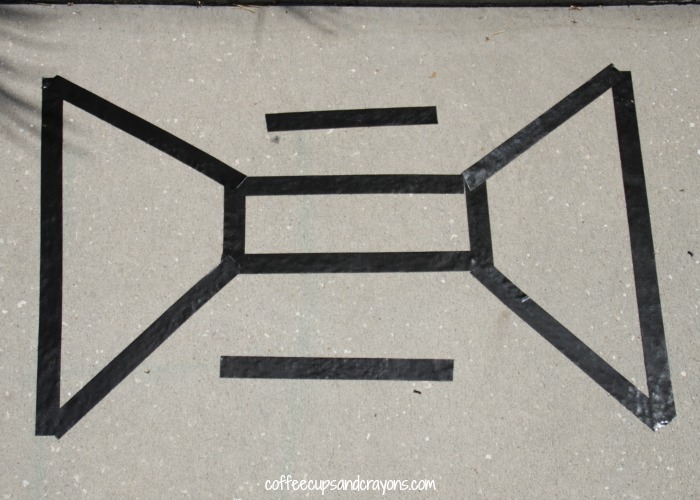 Once your paint is ready go outside and create your design with tape. The trick to getting this to work outside is to use the right tape. Painters tape wasn’t sticking enough so we used Gorilla Tape To-Go (affiliate link) and it ended up working perfectly. I loved to hear the kids’ thought process as they decided what design to create with the tape. Then let the kids paint! Remind them that the tape lines will be white when you take them off after the paint dries. Let the paint dry and then slowly peel up the Gorilla tape. 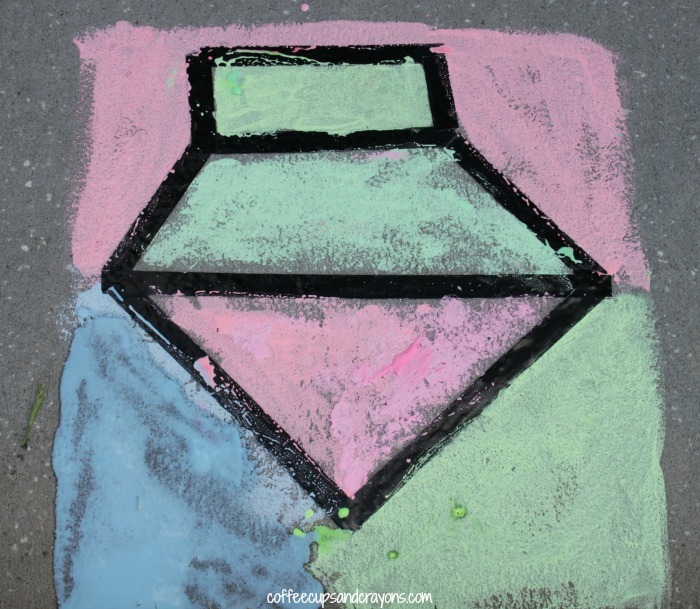 If you like sidewalk chalk paint tape resist art then you should also check out our recipe for glow in the dark sidewalk chalk! This seems like it would work if you just colored with the chalk too. It has to be one of our all time favorite projects! Thanks!! !